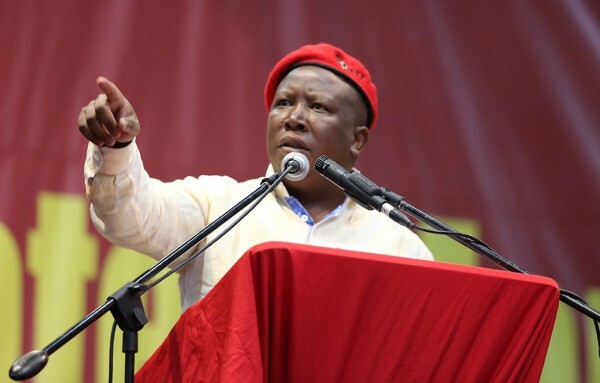 Economic Freedom Fighters leader Julius Malema's comments regarding the Gupta family and its media outlets go against the Constitution and incited violence, the ANC said on Thursday. "The very same Constitution which allows him to be in Parliament, he is violating it," national spokesperson Zizi Kodwa said. Malema's statement was nothing but a call to suspend the Constitution, he added "We must condemn the statements of the EFF with the contempt that they deserve because they are likely to incite violence and bring hatred among different groups. Addressing the media in Johannesburg on Thursday, Malema said the Gupta family, which is seen to have close ties to the ANC and some of its top leaders, should leave the country. He also told journalists who worked for Gupta-owned media, ANN7 and The New Age not to attend EFF events. "We are going to take practical action. It's a battle. It's a war against Guptas. We want to advise the Gupta television and newspapers [that] they must no longer come to EFF events because they are not safe for them. "We are not going to allow South Africa to be sold over a plate of curry." Kodwa said the comments about "curry" amounted to xenophobia. "All different tribes and groups in South Africa have their own cuisine and they can't be insulted on the basis of their cuisine. In that sense it is xenophobic... it's inciting violence against a group of people." He also denied that the Gupta family had any influence over the ANC or that the ruling party was defending the family because of this. The family would never "control" the ruling party. "The Guptas are not close to the ANC and the ANC is not close to the Guptas," said Kodwa. "If there are individuals, who for business reasons are influenced by Guptas or have business with the Guptas it does not mean the ANC as an organisation is part of that."